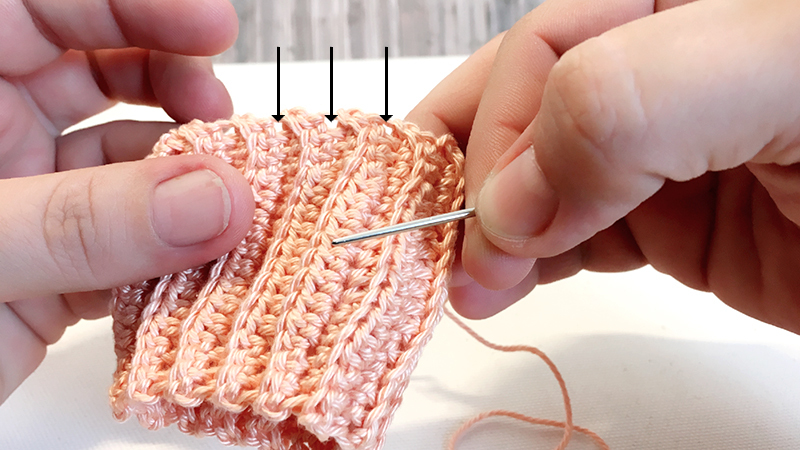 This pattern is for crochet beginners! 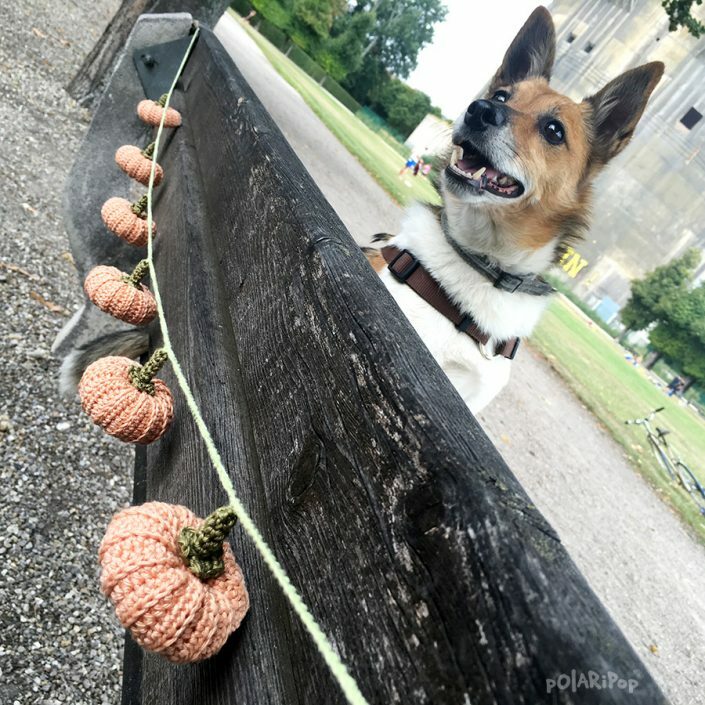 In this tutorial I show you how to crochet this beautiful pumpkin garland for halloween and thanksgiving. 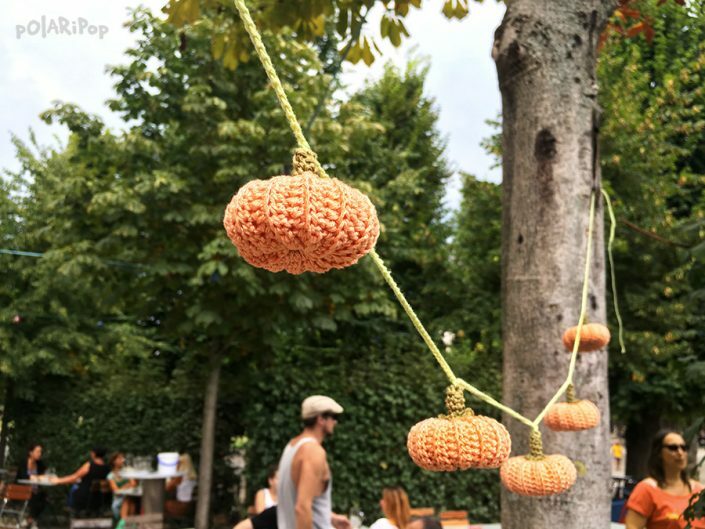 Either use the single pumpkins as keychain, bag ornament or gift tag, or decorate your house & garden with the garland made of multiple pumpkins. 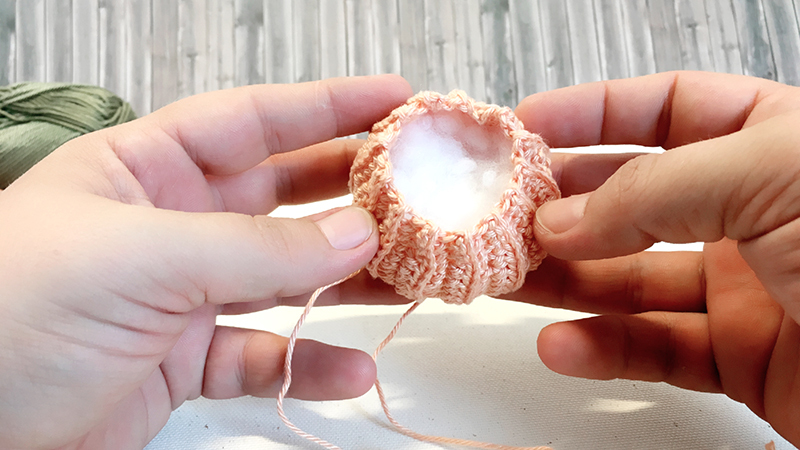 I also like to use it as sachets for wardrobe and yarn stash – to keep moths away and provide a good smell for my treasures. 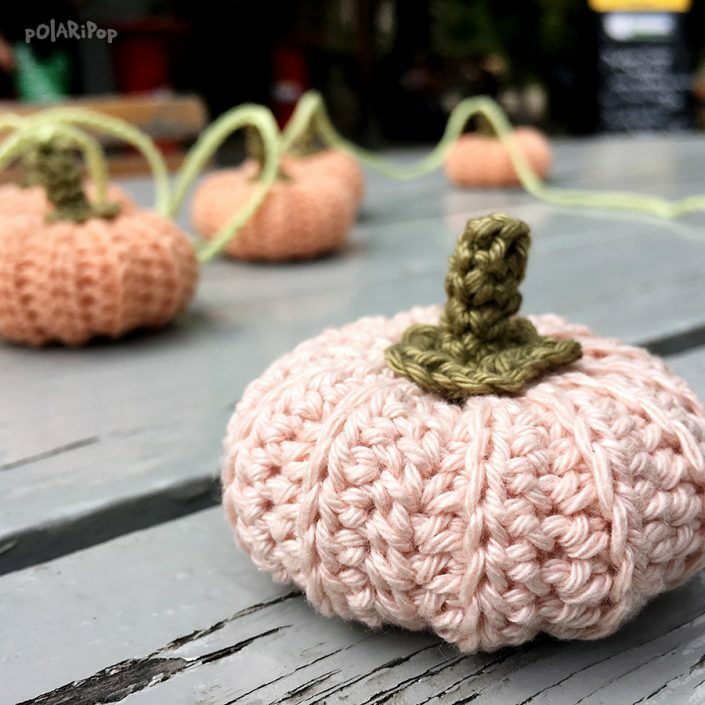 Change yarn weight an hook size for creating differently sized pumkins. 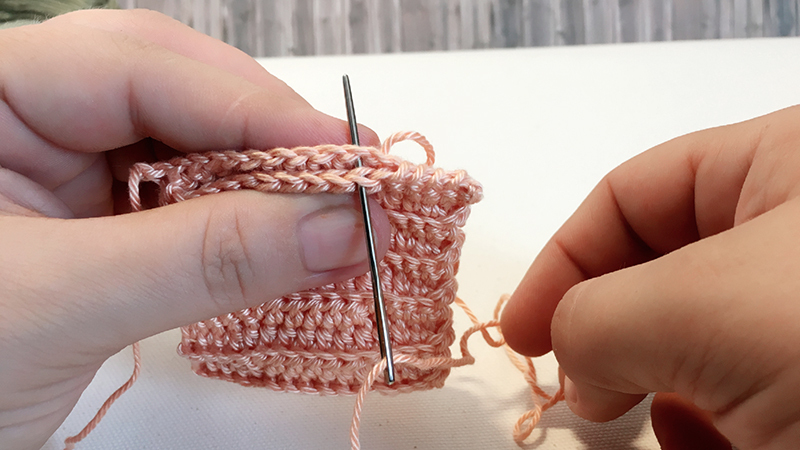 Repeat round 1 + 2 13 times, which makes 26 rows. 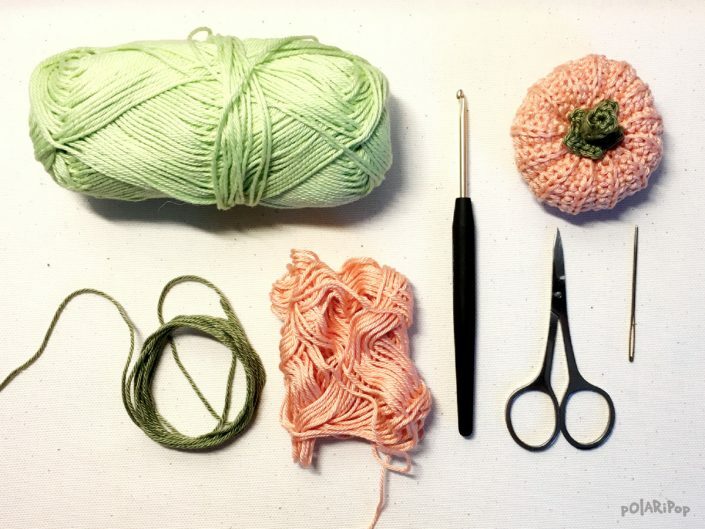 Cut the yarn, but leave a long tail for sewing. 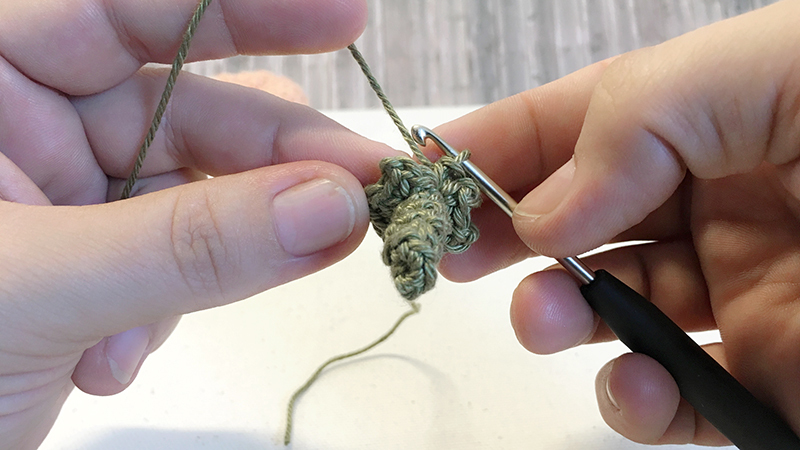 Fold your work together, and use the blunt needle to sew the edges together. 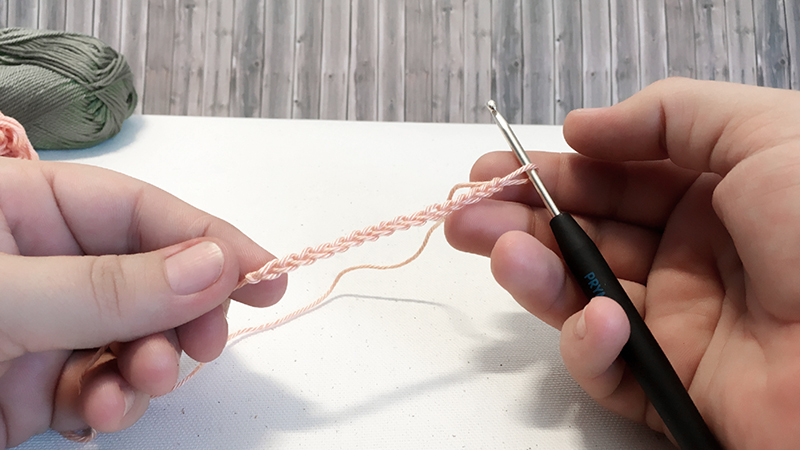 Make sure you weave the yarn through both loops of both rounds. 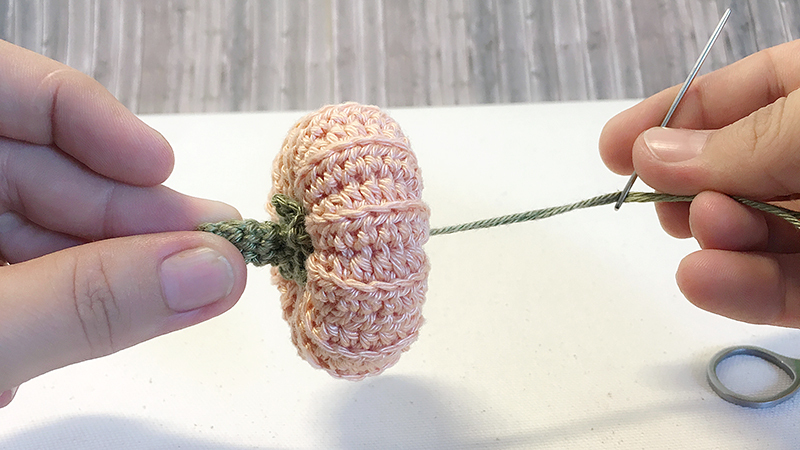 Knot the yarn ends together. 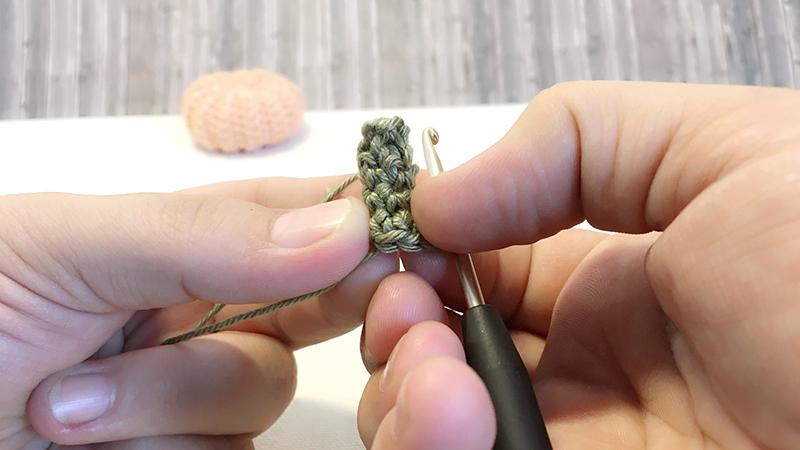 Use the yarn end to weave through all the tiny holes on the edge. 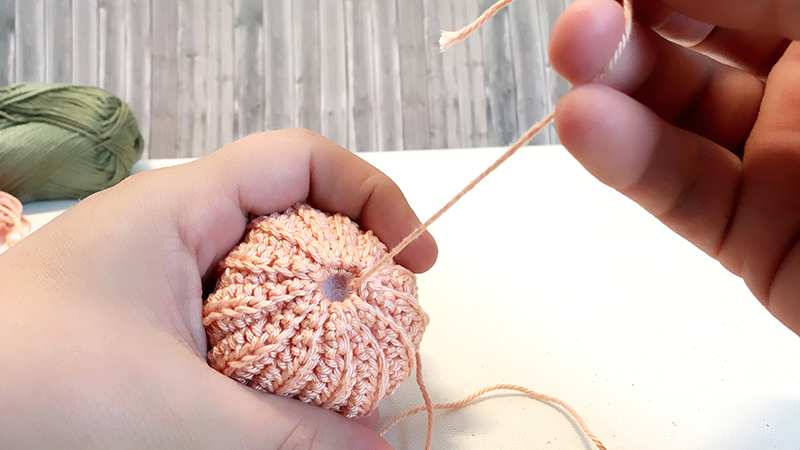 Weave into all holes around the pumpkin, until you reach the starting point. 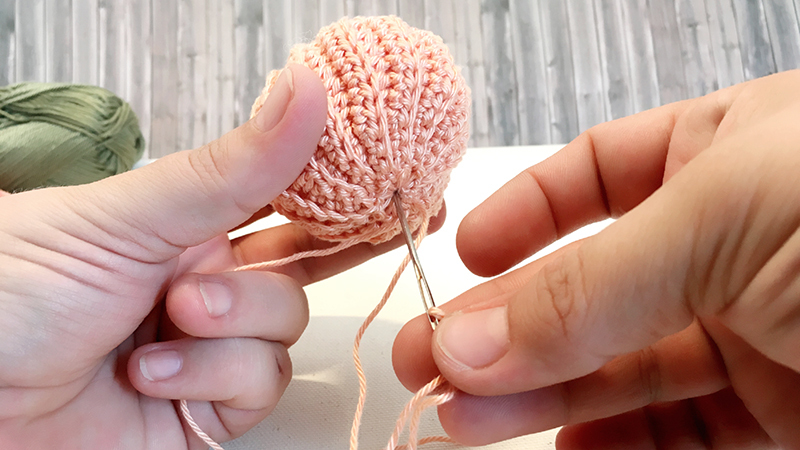 Pull the yarn end tight, until your work is shaping a ball. 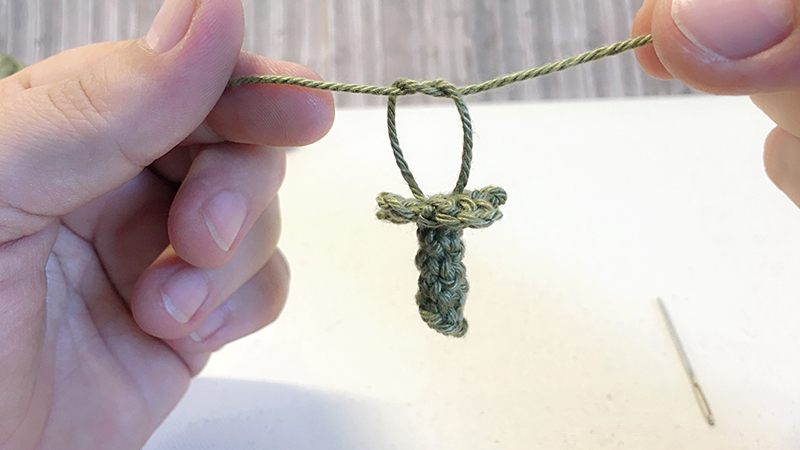 Knot the yarn ends together once more. Fill the ball with some stuffing. 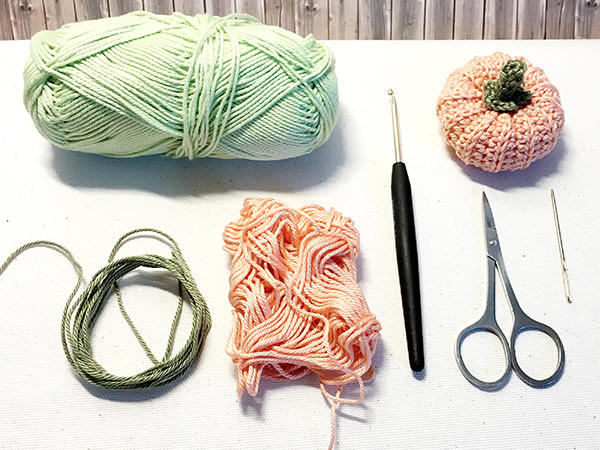 Weave the yarn end through the whole pumpkin, including the stuffing, from bottom to top. 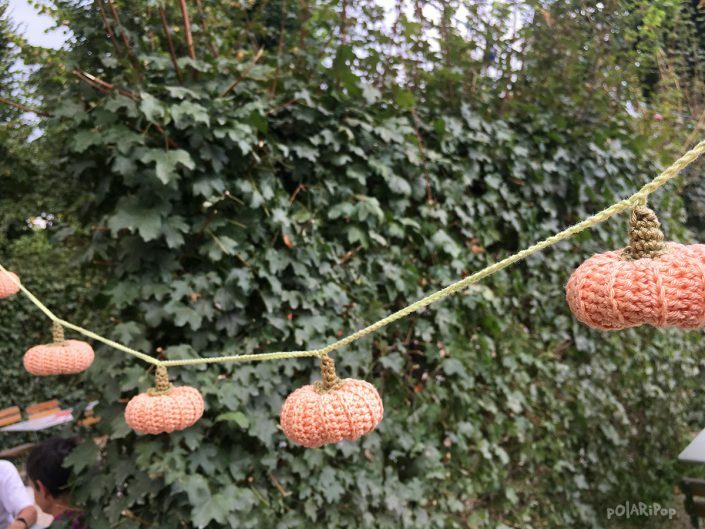 Repeat weaving the yarn end through all tiny holes on the edge, once around the pumpkin, until you reach the starting point. Pull tight until the gap is closed. 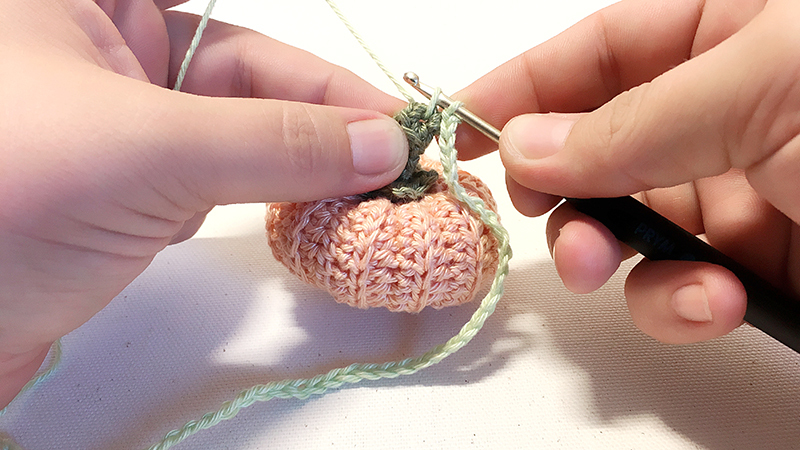 Weave the yarn end through the pumpkin once more, and knot the two remaining yarn ends together. 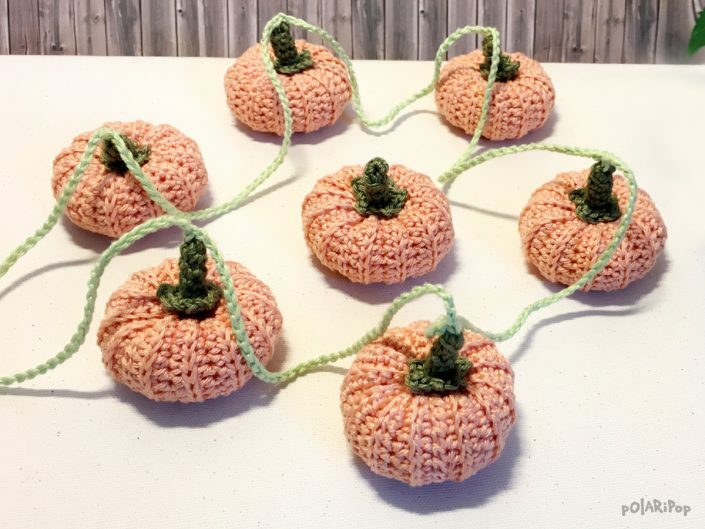 Pull tight, until your work has reached the typical pumpkin shape. 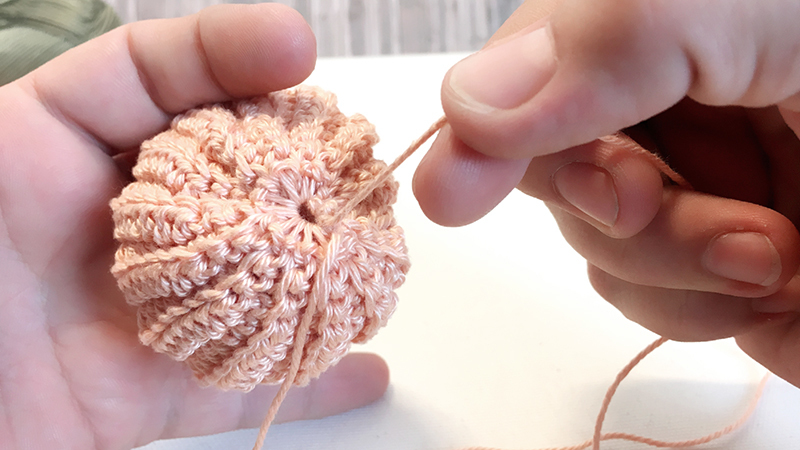 Around the stem you will see 5 little „picot stars“ taking shape. 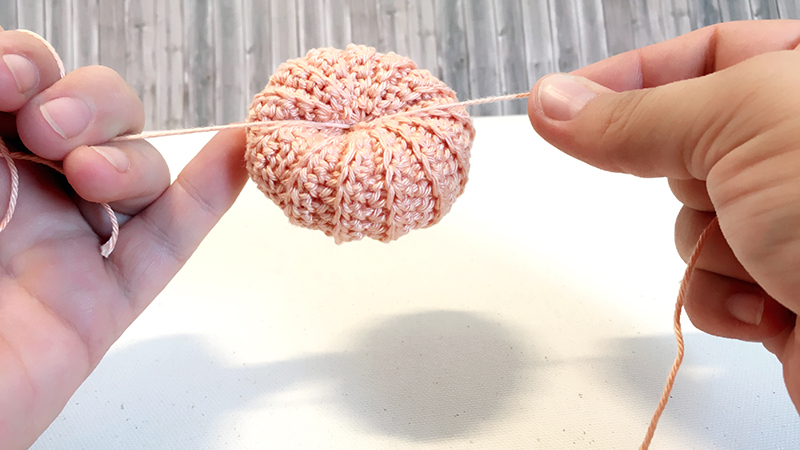 Knot the yarn ends together. 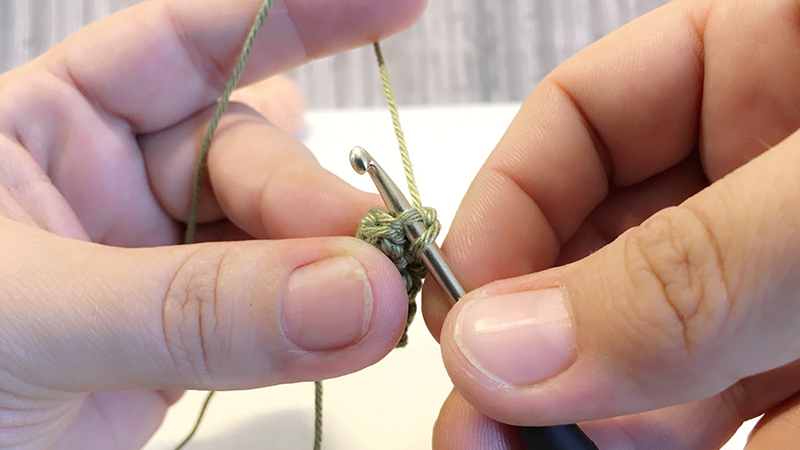 Make sure you do not pull too tight, so the stem won’t loose its shape. 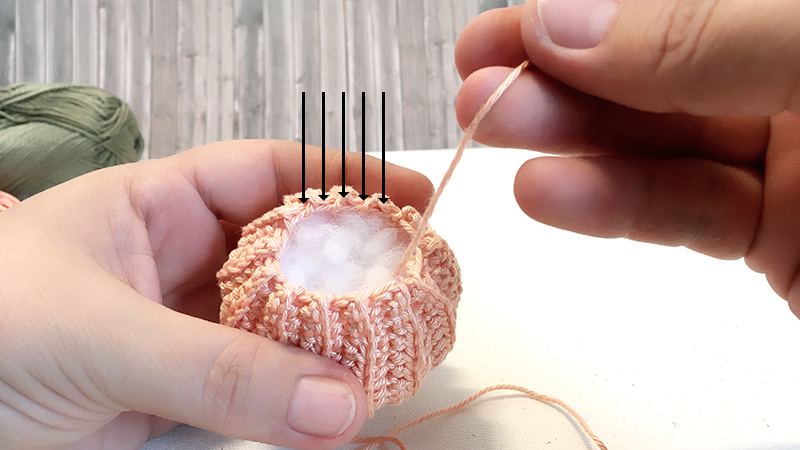 Use the yarn ends to attach the stem to the pumpkin. 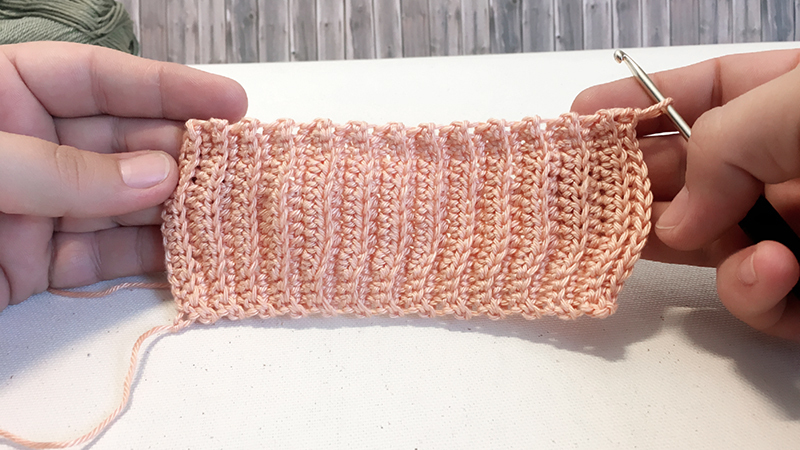 Sew in the yarn ends. 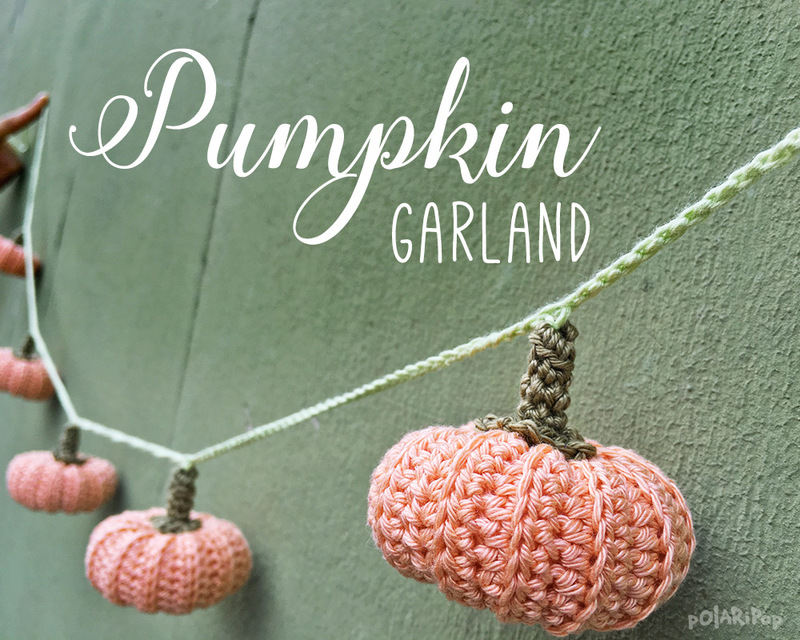 You can also add your pumpkins to a cute decorative garland for Halloween and Thanksgiving. 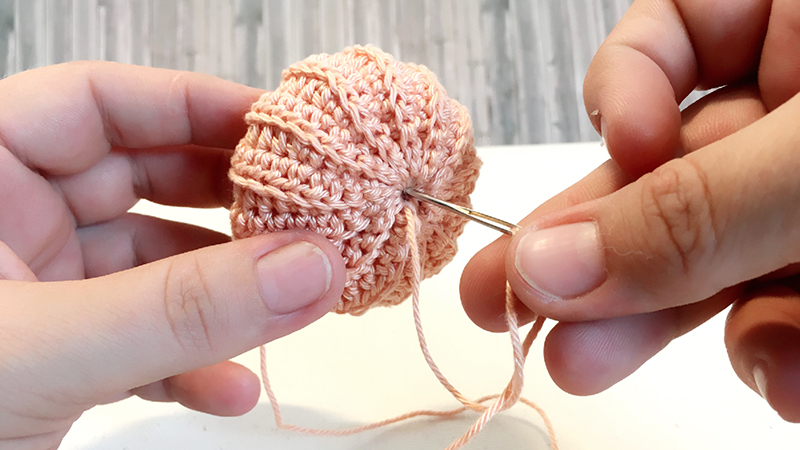 With another color, chain 40, then add 1 pumpkin by crocheting a single crochet stitch into the top of the stem. 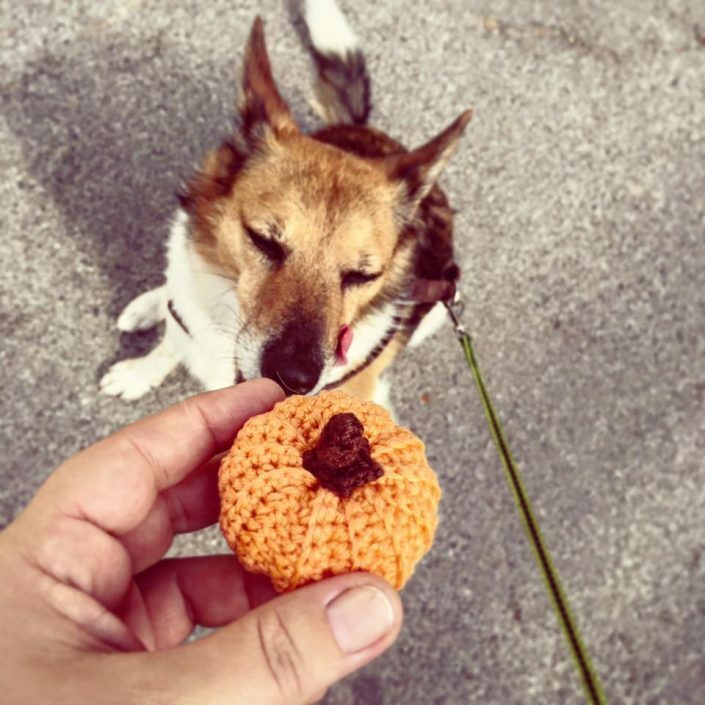 Repeat that until you have no pumpkins left. 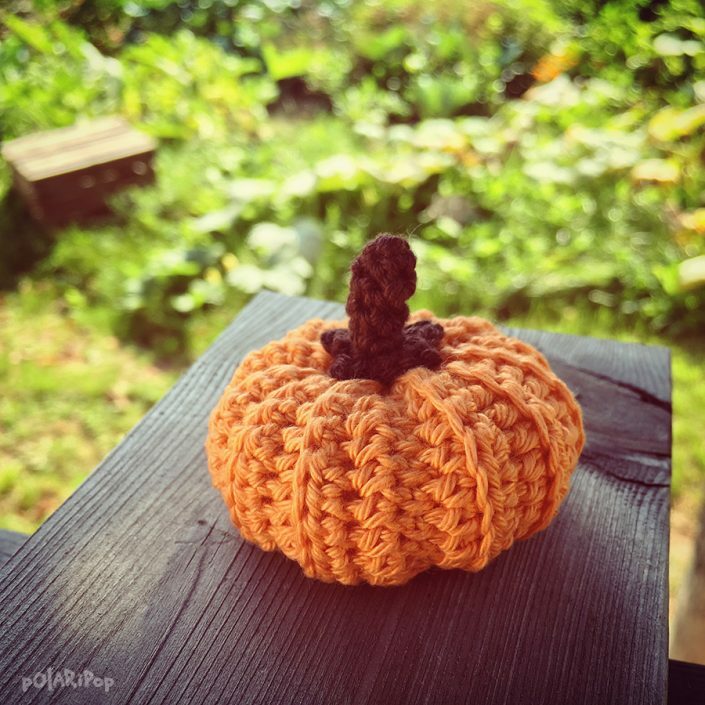 If you enjoyed, have a look at all my other crochet & amigurumi patterns here .